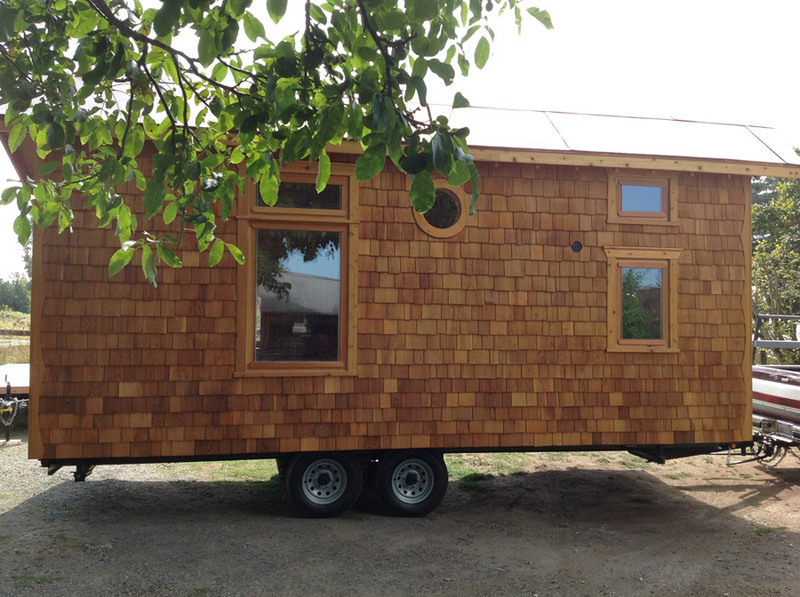 A tiny house on wheels with shake siding. 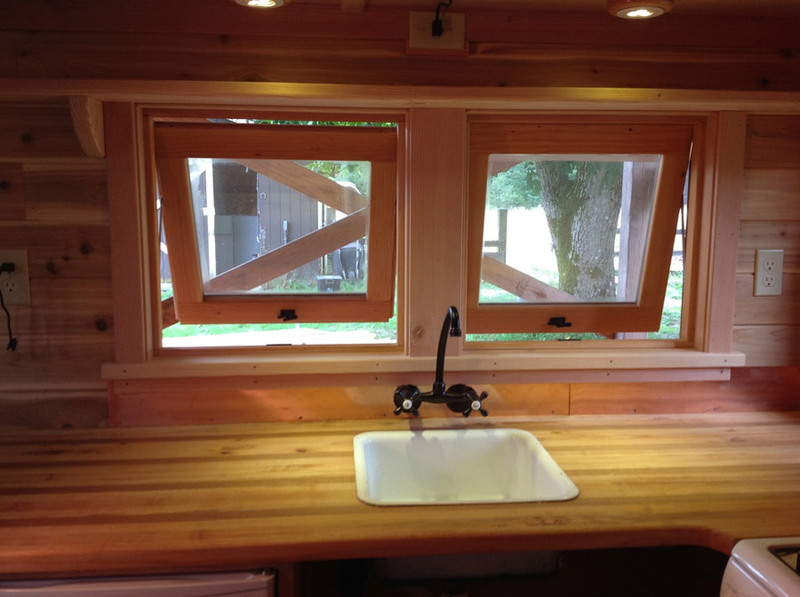 Built by Zyl Vardos in Olympia, Washington. Scrumptious design and detail. I would like to see it when you get it furnished. I love the way the loft is designed. us it for sale? How much? I always have loved Abel’s designs. 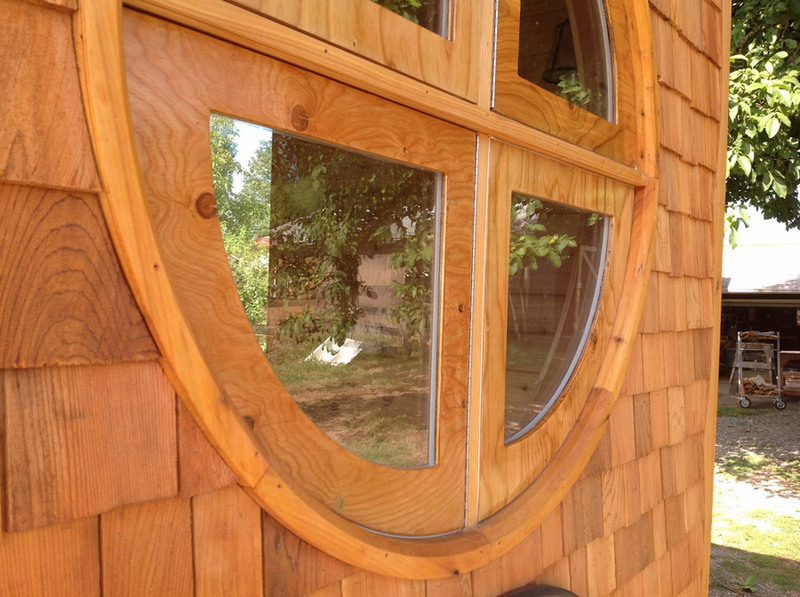 The are the most unique and artful tiny houses out there. This is another home run in my opinion. I would love to live in it. 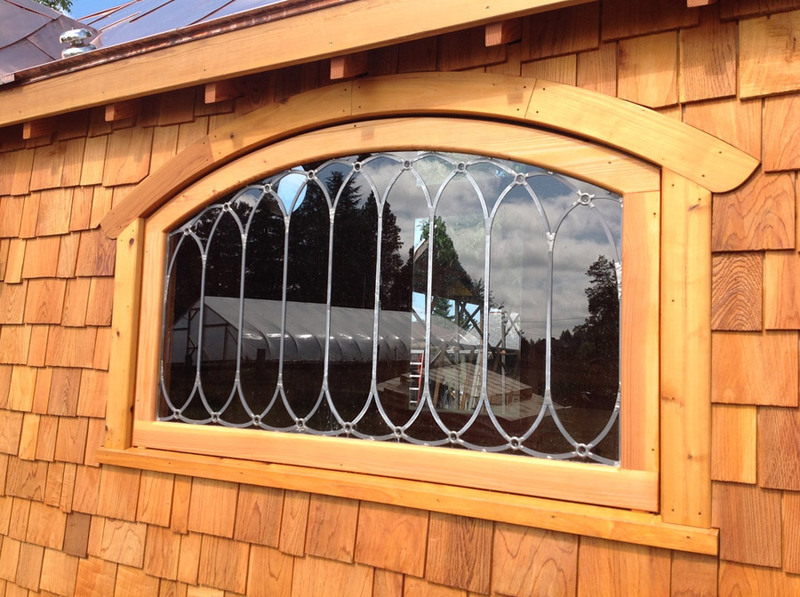 I love all the beautiful windows! the rise of the steps looks high to me, also. but I appreciate the handrail, which is almost always lacking in other designs. Steven, thanks for putting this up. 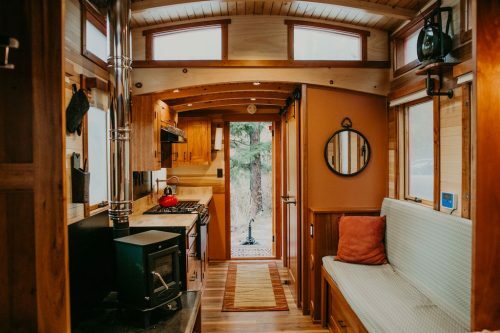 If y’all are interested: there is a really nice video tour of the Pinafore by Tiny House Giant Journey: https://youtu.be/yGomaVCVYfM. And yes, the 7 3/4″ stair risers are a good standard. I would happily build stairs to those specs if requested. The stairs in the Pinafore follow a ‘ships ladder’ pattern, and it makes them much more space efficient (while still being comfortable to climb for most). Abel- as usual, your work and design is absolutely marvelous. so happy to see such talent in the world. 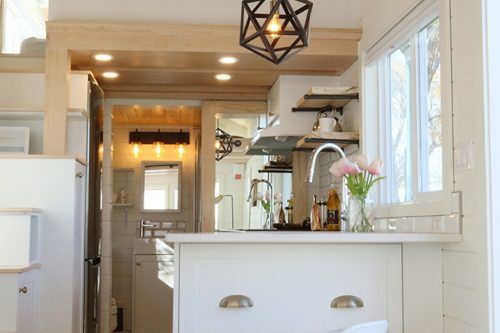 This tiny house is beautiful! Did you design this? It looks like the perfect design for me. Can you share any details? 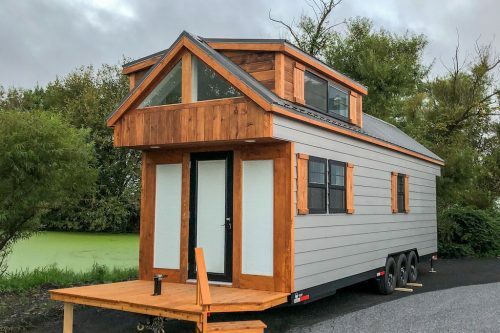 I am really liking the idea of a deckover, no wheel wells to build over or around and skirting would be so much easier, I think. This little house is sweet! Thank you for not being boring! Adorable house with real creativity. Lovely house. Loft needs another window or skylight for more ventilation, and why not let the kitchen windows open to the side, also to increase ventilation, especially after cooking food? Finally, the shower needs a flexible/handheld extension both for easier washing and for saving water. Otherwise, great house. Finally , an artistic and classy little home that anyone would be proud to live in!! Beautiful lines and design. I wish I had the money right now I would order this for myself with a small bathtub and a double sink in the kitchen area. It would meet all my needs. Do you think one could be made on a bit longer of a trailer? (and still be towable) Will definately order one when I am ready! Absolutely Magnificient Classy Design!!! I am looking for someone to custom build something like this for me. Could you do it? How much? I LOVE EVERYTHING ABOUT THIS ONE THE ONLY THING I WOULD TAKE THE STOVE OUT AND REPLACE IT WITH A FRIDGE AND GET A COUNTER TOP STOVE. I’m kinda sorta impressed by the toilet. 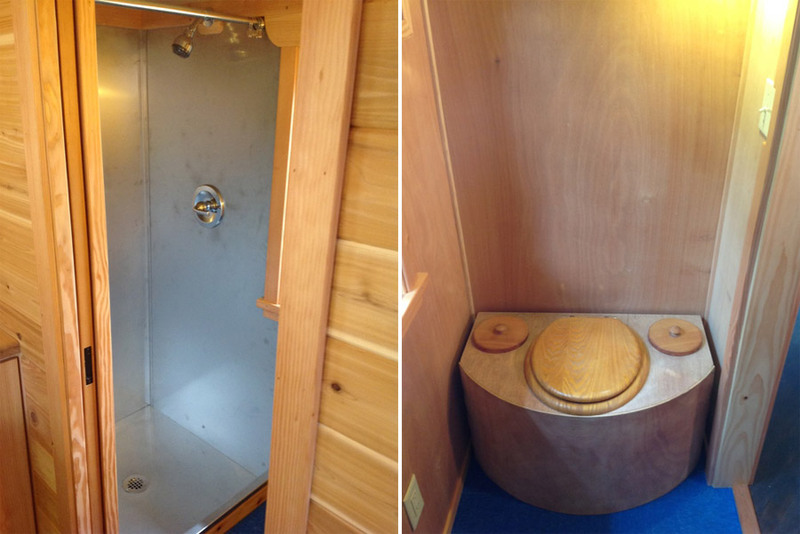 That being said if that is a composting toilet and those tops with the round knobs had saw dust kitty litter or dirt or what ever you use. Then this is one grand design. But I didn’t see where you could remove the bottom part to empty it. And what with that empty space above it. A ton of loss space for storage. The door is amazing but my functional hardware would have to be on the inside. No need to spoil the look. 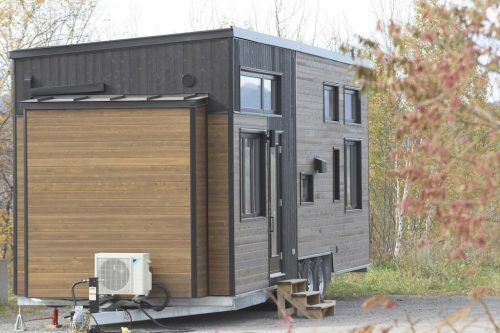 Another great feature is you won’t find many tiny houses like this one. 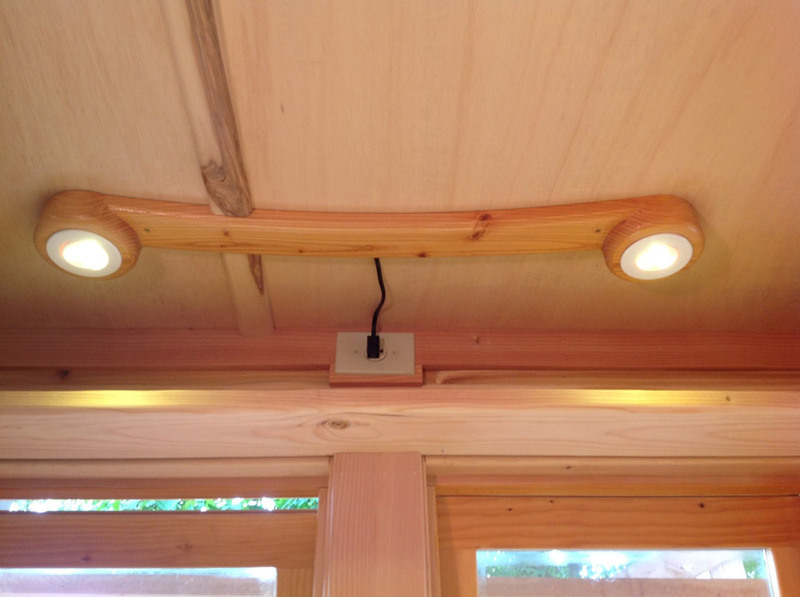 I’m looking for that illusive tiny house that has everything in the right place for ME.